Lowe and Oliver undertook the complete Mechanical & Electrical installation. 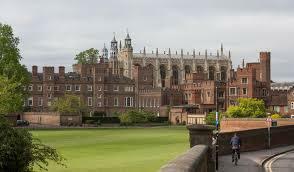 The Project entailed a full refurbishment of The College Block in Eton College, This involved the installation of a new plant room served by a district heating system, the heating and hot water to the building served 78 boys rooms and several private side apartments. Electrically the task was to remove all old wiring and strip back to the structure so a new electrical system could be installed. A new MCCB panel was installed within the mains room supplied of the existing head. New supplies have been installed to feed private flats and 78 boys rooms. A new fire alarm system was installed throughout the building along with a complete new data and WIFI system and CCTV. This project also included a full TV network system to be installed which would supply the building with TV,SKY and Radio.